What can a movie be, exactly? A ridiculous question to most, no doubt. But let’s put ridiculousness aside for a moment and ponder it. When you think about it, a film can be anything you want it to be…obviously. Any film is subsequent to the viewer, his/her experiences, upbringing, and environment. It can be as simple or as complex as you, the viewer, see fit. Which, when you think about it, is quite possibly the most beautiful thing about cinema. Plainly put, each and every individual can draw an infinite amount of conclusions, reactions, and emotions from every film in existence. Why I bring this up has a lot to do with what I experienced watching “All is Lost” starring Robert Redford. Imagine a movie without dialogue, without supporting characters, set within a sinking boat floating helplessly with the current, tussling with the waves on the Indian ocean and the wrath of Mother Nature. This vessel carries a man, who’s endlessly searching, hoping for rescue, food, and clean water. No history or preconceived notions to speak of, the conclusions made are left entirely to the viewer, derived from nothing but a series of visuals. One being fighting against nature with only the elements to survive. It’s as simple as that. This is J. C. Chandor’s “All is Lost.” A film that doesn’t imply upon the viewer, but rather let’s the audience infer and compile their own deductions. Director Chandor merely acts as a transitioning agent, a depicter that forces those witnessing his work to morph and shift what he’s given you into a story that has become derivative of who and what you are. Essentially, Chandor and lead actor, well, the only performer Robert Redford, make you sort of an alchemist. Which results in one of the most immersive, unique, personal cinematic experiences you will ever have. Conversely, this makes the critics job all the more difficult, seeing as each viewer of “All is Lost” likely concludes and experiences something totally unknown to every other viewer. Granted, these differences are minuscule and the central story remains essentially intact and universal for all, but the tiny differences are what truly allow “All is Lost” to become transcendent. It’s this social, nurturing, political characteristics. It’s like the difference between an explosion and an implosion. You wouldn’t be able to spot the subtle inconsistencies from a distance, but when you search past superficiality, there’s an entire world of underlying meanings, familiar traits, and contrast. 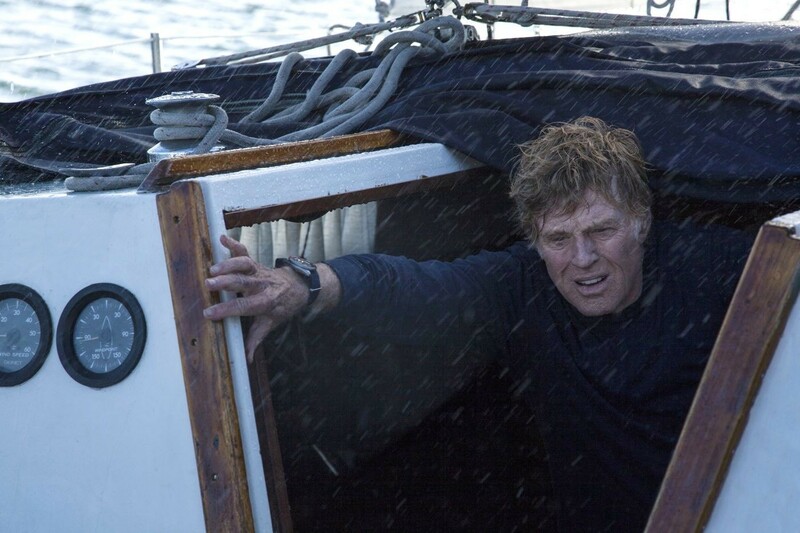 Cinematically, “All is Lost” is without question something to marvel. Had “Gravity” not come along and completely put each and every other cinematographers work to shame, “All is Lost” would easily have left audiences equally as breathless. The scenery, atmosphere, and overall tone of the film is sombrely beautiful. One can’t help but gaze in amazement at the wonders of our planet, sky, ocean, technology, and humanity. This is all thanks to director and writer J. C. Chandor. Additionally, Alex Ebert’s melancholic, epic score really completes Chandor’s visuals and masterful tale. It has already picked up the Golden Globe for best score. 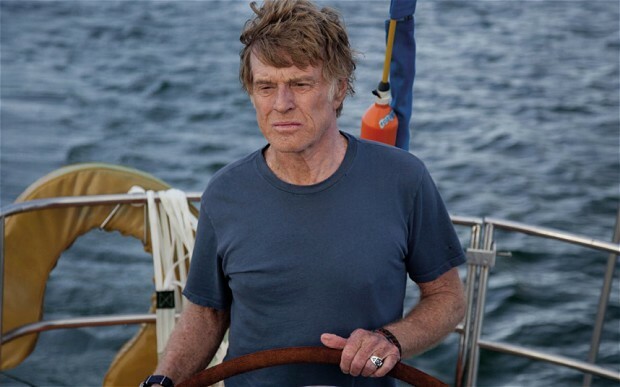 More important than these facets is that Robert Redford hasn’t been this masterful in a good, long while. 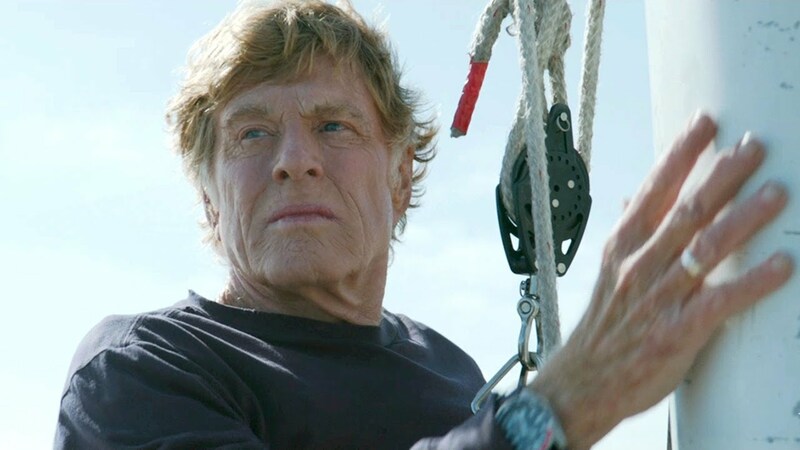 “All is Lost” sees a return to form for the illustrious actor and I wouldn’t deny that his performance here might be one of, if not the best of his career. Speaking no more than a few words throughout the film’s entirety, Redford still manages to control the screen with an unwavering intensity, heart-shattering vulnerability, and compassionate brilliance. The amount of sympathy one feels toward this wayward sailor knows no bounds. You feel as if you’re right there in the sinking ship with him as all hope and fight begins to drown. 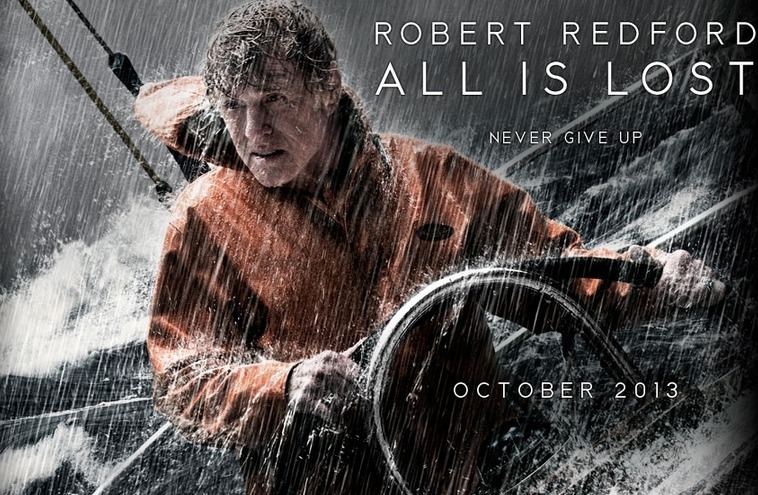 “All is Lost” features one of the best musical accompaniments, performances, and overall experiences of the year. Making it easily one of the best films 2013 has to offer. All is Lost: 9 out of 10. Posted on February 20, 2014, in Drama and tagged Chandor, Drama, Ebert, Redford. Bookmark the permalink. 37 Comments. Good timing… DVD scheduled to arrive in my mailbox today. Awesome! Have you seen it yet or did you purchase without watching? Which is ballsy ;). I have not seen it. It’s coming via Netflix. However, in the past I have made purchases without seeing the movie first, but it never worked out very well. I have a feeling that this time around its going to work out extremely well! Such a great flick :). An extremely well-written review here. I need to see this film! It sounds incredible and I think Redford is a brilliant actor. Thank you very much! It really is quite something and Redford is simply stunning :). This is definitely a good flick. And I agree this is probably Redford’s best acting. Ever. HMMM – I might have to give this a check out sometime…. I don’t know, Eric, it isn’t exactly Shitfest material ;). I was surprised how much this film caught me off-guard and drew me in so thoroughly. Definitely one of my favorite 2013 films. p.s., and Redford was robbed of an Oscar acting nomination. He deserved one at the very least. Thoroughly agree, this film knocked me off my feet…was not expecting it at all. I know! How did he not garner a nomination for this performance?! I saw this movie a few months ago and was completely blown away by everything. I think that it was clearly one of the best movies of the year because of how it was done. Unfortunately, too many critics compare it to Gravity or nitpick about what he does wrong in trying to save himself. I like to just take this one for what it is, an amazing example of how a seasoned actor doesn’t need dialogue to get his emotions across. Redford was completely robbed here of the nomination because I think he is better than even MM and was hoping he would finally get that little gold guy for being one of the best actors around. The whole movie is spectacular, but I loved the ambiguous ending the most. Glad to find another big fan of this one. I’m a huge fan of this neat little flick! Totally agree, just take it for what it is. Also, no one knows what one might do when confronted with a situation like that. Can’t believe Redford wasn’t nominated, he should’ve been, just a disgrace. Thanks for reading!! I was a big fan of the film as well. It was amazing on the big screen. Redford shed every bit of his golden boy persona. This is a grounded and mesmerizing film. Couldn’t agree more, Keith! Thanks for stopping by :). Redford should’ve at least garnered a nomination! Outstanding review Joseph, I love your perspective on this. My personal experience with it suffered from a lack of characterization. And while reading this film, I almost wish I hadn’t formed the argument that I had (even though obviously at the time I couldn’t help but feel that way), because you’re right: the brilliance in Chandor’s work is that he makes the role of Our Man so interchangeable. As individual moviegoers, we plug ourselves in to his position and ask ourselves, “What would I do here?” Good chance is most of us wouldn’t make it nearly as far as he did. In the moment, I was frustrated by the simplicity of the ordeal but over time I’m coming to understand this was a pretty good movie. Wow, thanks so much, Tom :). I’m sort of going through the same thing. As time passes, my perspective and opinion of the film and its character are continually shifting. I’ll admit I was a tad frustrated myself watching this from moment to moment, and like you, tried to distance myself from assuming and concluding too much. 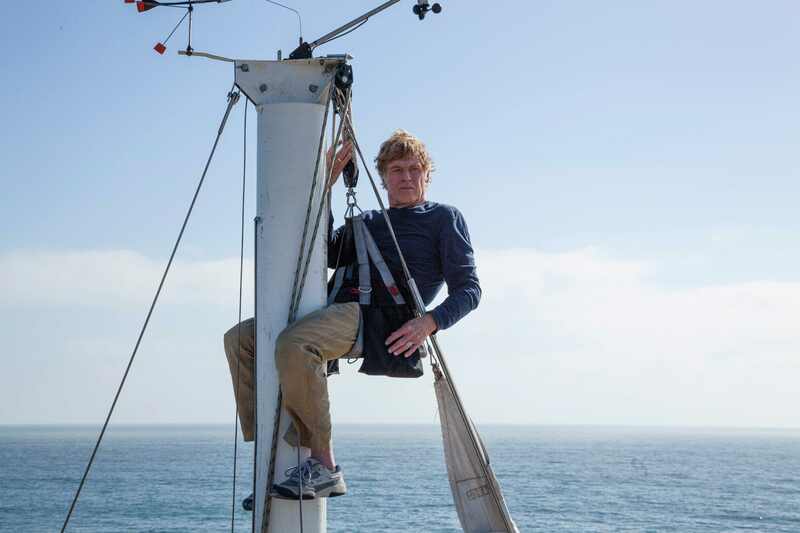 I truly think this is what makes “All is Lost” brilliant. It feels like a flick that won’t dim with time. This is one heavy film, a perfectly made. Great review, totally agree, man. Thanks so much Ryan :). So happy you could enjoy this one as well! All is Lost was incredible! I really enjoyed this film. I gave it a really positive review. I was so taken by the depth and simplicity of Redford’s performance and the material is bold. I loved just about everything in this movie. From the score to the stunning work by the film’s DP. And that ending! Whoa. It was so emotionally powerful. The enigmatic elements of the film like the lack of characterization didn’t bother me as much as some others. Hell, I think that now, I may prefer it to be left to our imaginations. I’m glad you liked this movie. Great write up, man! I’ll be heading to your site to check out your write-up as soon as I can. So happy that you enjoy it as much as I do. Such a stellar film, agree with everything you said :). Thanks Vic as always! Awesome review as always man. This one has not come out here yet. But have been keen to see it for a while, and your review makes me even more so. Thanks, bud :). It’s really a great flick and I look forward to reading your thoughts on it! Good review Joseph. Such a damn shame Redford didn’t get nominated for this. He truly is something that demands your attention, every time he is up on-screen. Absolutely great review Joseph. Totally agree. This is pure unadulterated cinema. Thanks a bunch :). So happy to hear you dig this one as well! Well written review! Redford’s acting was superb and the film was outstanding. It is a shame that it had to come out the same year as a Gravity because if it hadn’t I think it would have received more accolades. Thanks, friend :). Regardless of Gravity, this film has been shunned. Apart from Inside Llewyn Davis, this is the biggest Oscar snub of the year. Really wish I’d made the effort to check this out at the cinema. Due to our release dates over here it got buried beneath all the Oscar stuff so I didn’t manage to get round to it. Definitely want to check it out at some point though. Nice review buddy. Thanks so much :). I really recommend checking it out when you get the chance. In my opinion, this should be part of the Oscar onslaught ;). Wow, excellent review, seems I should rectify not having seen this, I keep hearing it is well worth the watch! Thank you, Zoe :). Indeed, it’s definitely worth a watch! Very high praise Joseph! I found plenty to admire here but it still left me a bit distant. Redford was outstanding and Chandor’s direction was sublime. Alex Ebert’s also rightly deserves a mention but I couldn’t quite find the depths that it seemingly had. No arguments here! I totally understand the distance complex, it’s difficult to submerge yourself along with Redford, especially when the depth apparently treads more intricate on your end. Still, if Gravity hadn’t blown everyone away this year, I have a feeling All is Lost would of had a similar affect :).